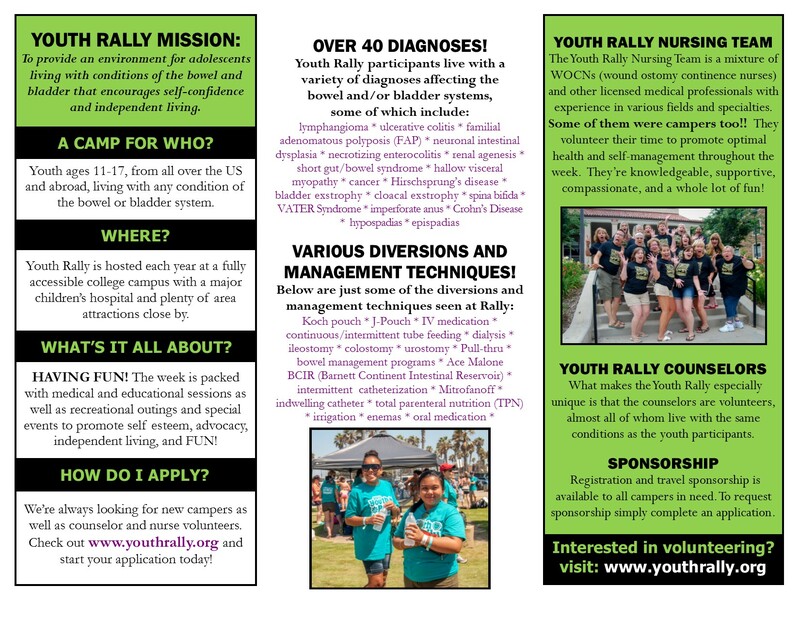 Each year, the Youth Rally hosts kids and teens living with conditions of the bowel and bladder at a college campus for a 5-night one of a kind camp experience that promotes independence, self-esteem, learning, friendship, and FUN! 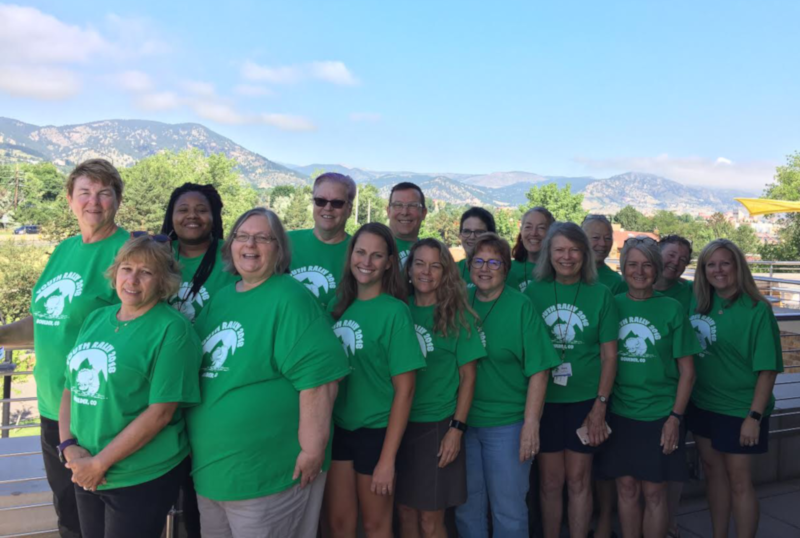 2019 APPLICATIONS ARE NOW LIVE! Click on the button below to start yours TODAY! Be a counselor or nurse! 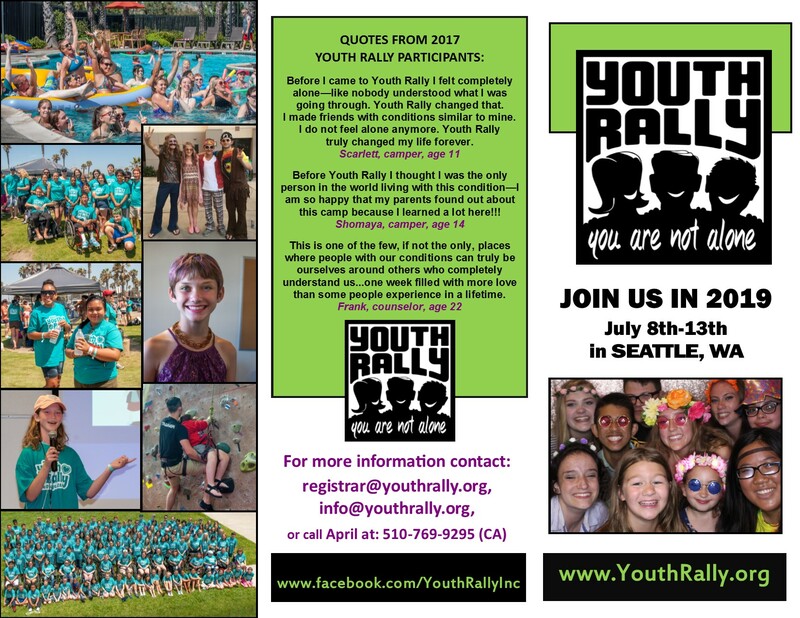 Check out the 2018 Youth Rally Photos and Videos! 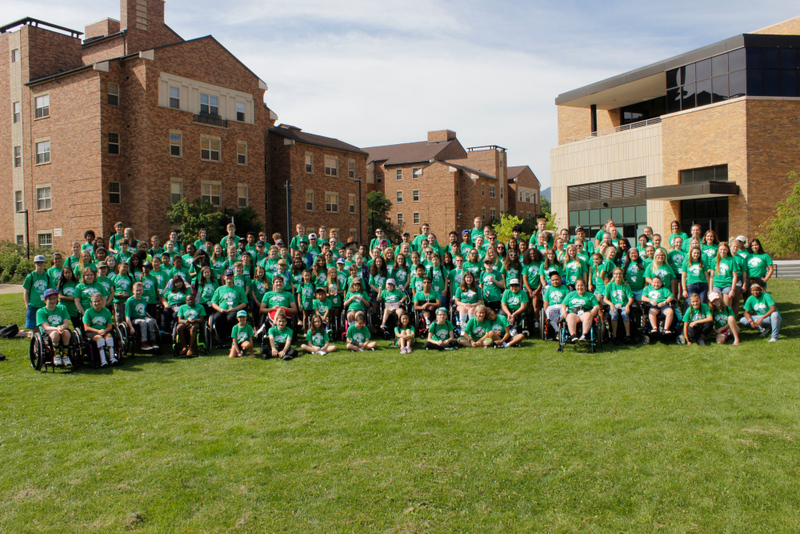 To provide an environment for adolescents living with conditions of the bowel and bladder that encourages self-confidence and independent living.